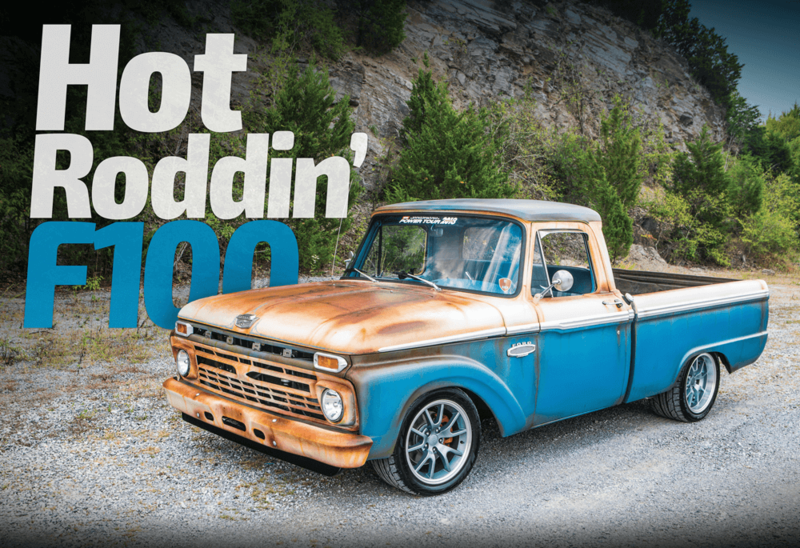 In the wonderful world of “hot rodding” most do not just buy any ol’ truck and call it done. There is always a deeper meaning behind it for each and every owner. Larry Shirley of Aiken, South Carolina, is no exception. 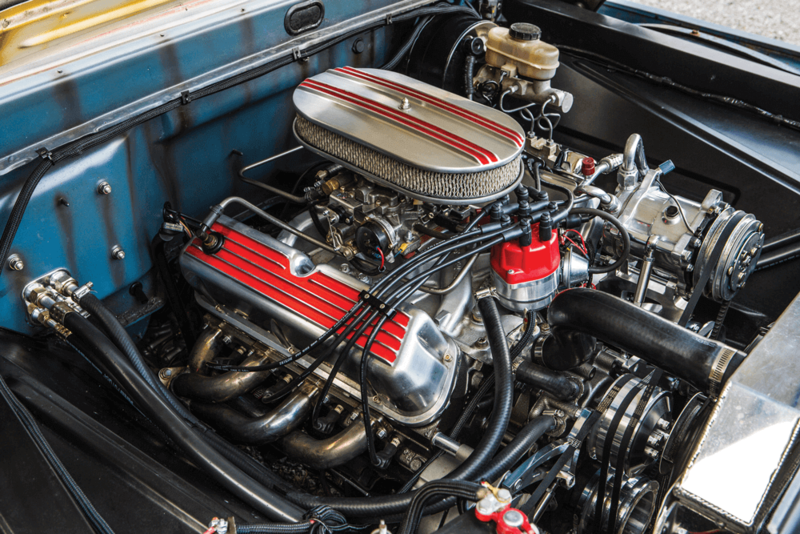 Coming from a long line of hot rodders, his father was a pinstriper and airbrush artist, and his grandfather was a good ol’ wrench-turning grease monkey. His veins were filled with the spirit of hot rodding from an early age, so it’s no surprise that Larry has jumped into these pages. 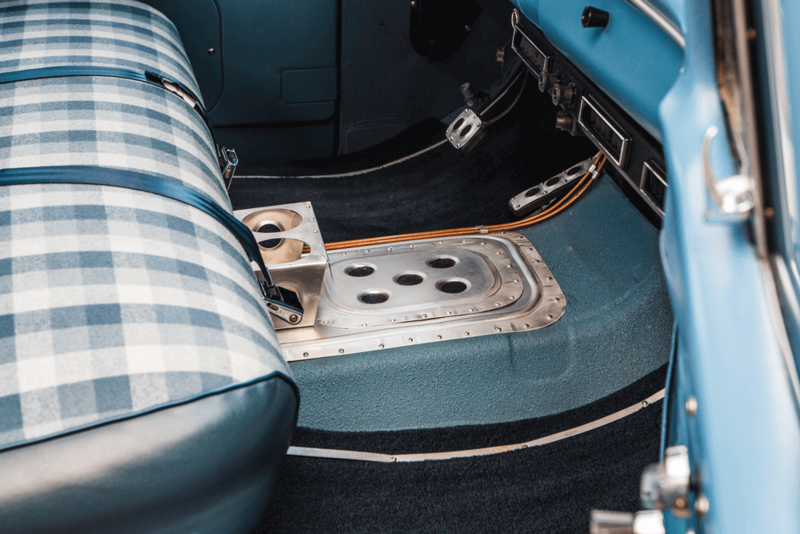 Having built a Model A Sedan, a ’70 Pontiac GTO and countless other hot rods, Larry was no stranger to the custom automotive industry as a whole. But he wanted to step out of his comfort zone and do something a little different with this build. 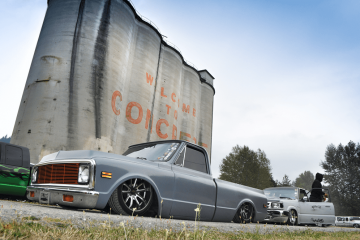 The truck build was truly a family affair getting help from his wife Venera and daughter Victoria, brother in-law Doug and his buddy Joey Caudle, all helping to keep the spirit of hot rodding alive through family tradition and garage builds. Moonlighting as an automotive paint rep, Larry is all about the deep shine and vibrant colors. On this project he wanted to go out of the box and way out of his element. 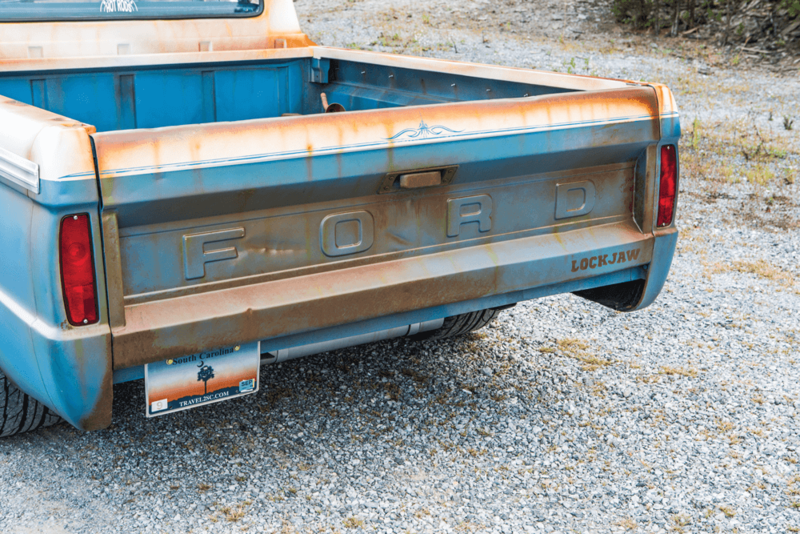 He started scouring his local newspaper classifieds and online classifieds to find the right project truck and settled on this 1966 Ford F-100. He said when he went to look at the truck, the previous owner just painted everything with a rattle can. The interior, exterior, all the brightwork, everything. 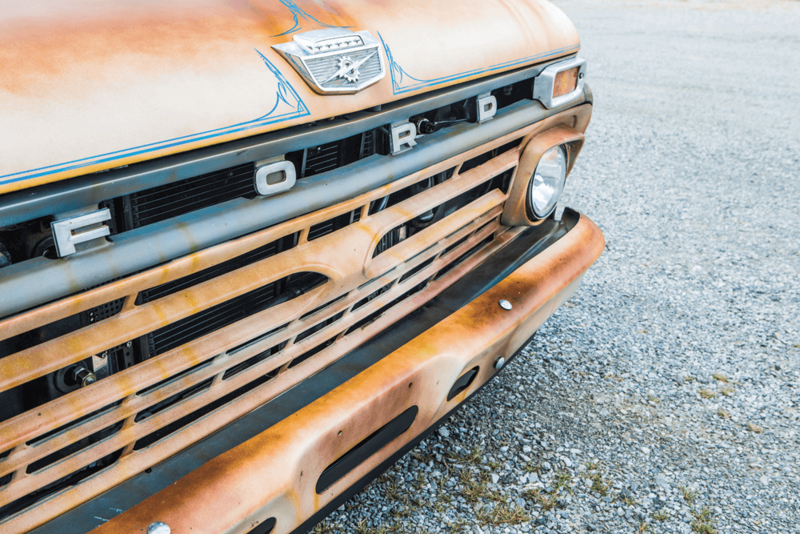 He knew that he could bring the truck back to its former glory and his vision started to come to life. Larry got the truck back to his home shop. 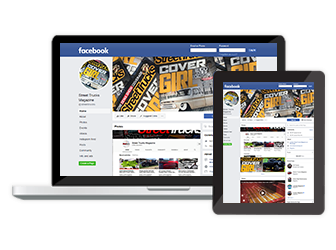 The initial plans were to do a mild refresh of the truck. He was looking for a patinaed truck, something he called “wash and wear,” but being on the East Coast most things were just too rusty. He really liked the look of patina and, being an artist, he thought he might be able to recreate the perfect look. 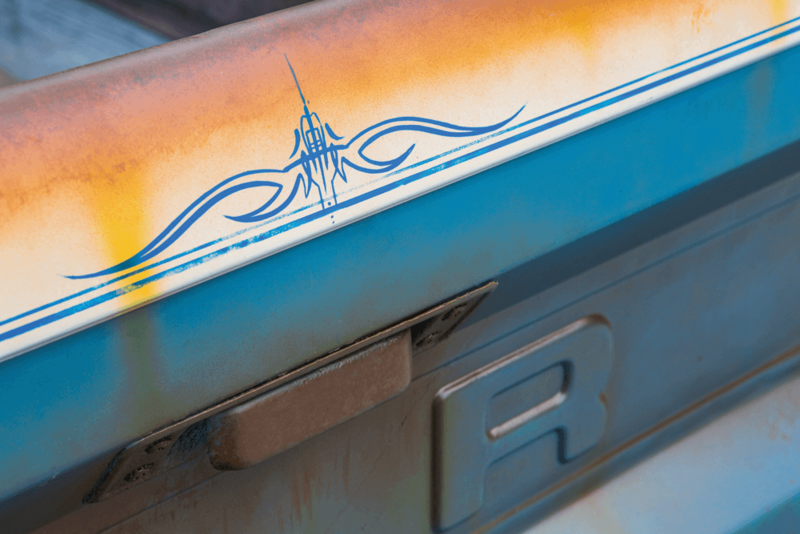 Never before has he tried to airbrush rust or weathering, but there’s a first time for everything! Being a paint rep has its perks. He had just removed a paint setup to replace it with an all new lineup. 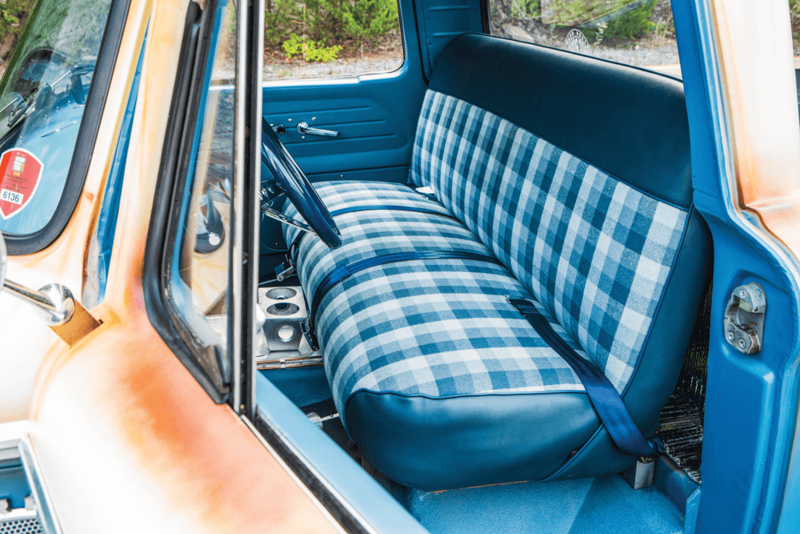 Instead of throwing out and wasting all of the older paint, Larry made what he calls a “bucket mix.” He had this great fabric he bought long before the truck and knew it would be the perfect color combo, so he went with a white and blue two tone. 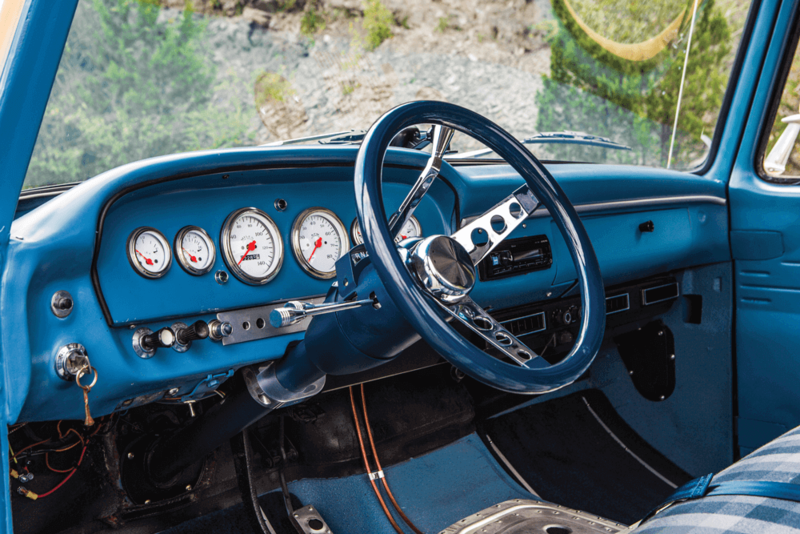 Most nights, once finishing his “Honey-Do” list, he would have time to go out to his garage and work on his ’66 little by little. He began laying down his base coat colors and going back and forth adding and layering with his airbrush. “It’s a very therapeutic feeling to have no direction and just let the art make itself,” Larry says. After dialing in the paint and getting to a point where he was pleased with the outcome, he began to tear into the rest of the truck. He knew he wanted a lowered stance, but he weighed all the options. 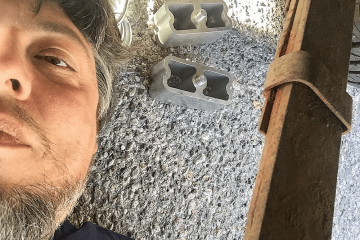 With the cost of dropped I-beams and all the extra parts it would take but knowing it would still drive like an old truck, Larry decided to put in a ’04 Crown Vic IFS. It gave him all of the modern comforts and luxuries while getting the stance how he wanted it: a bit closer to Mother Earth. Out back, he also upgraded to a ’99 Crown Vic 8.8 rear end, which is narrower than the ’04 so he could fit some wider wheels/tires. Retaining the leaf springs but going for a more condensed spring rate got the rear sitting a bit lower as well. 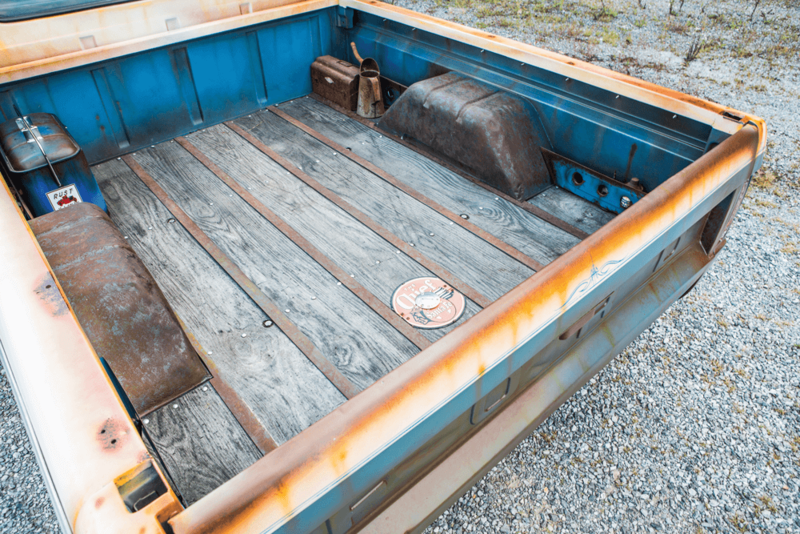 Working on his old truck became a great way to unwind from work, and he just kept going and adding unique features like custom sheet metal work in the interior and bed. 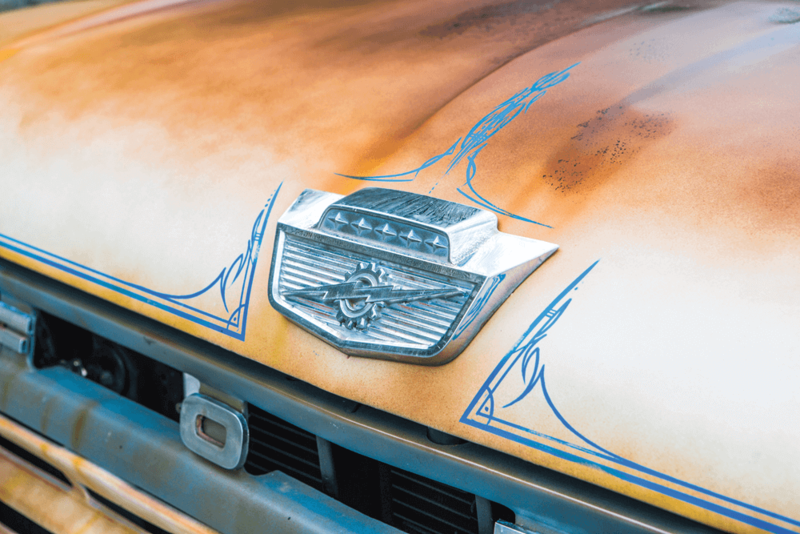 It was a way of showing off his skills and building the truck he had envisioned in his mind. 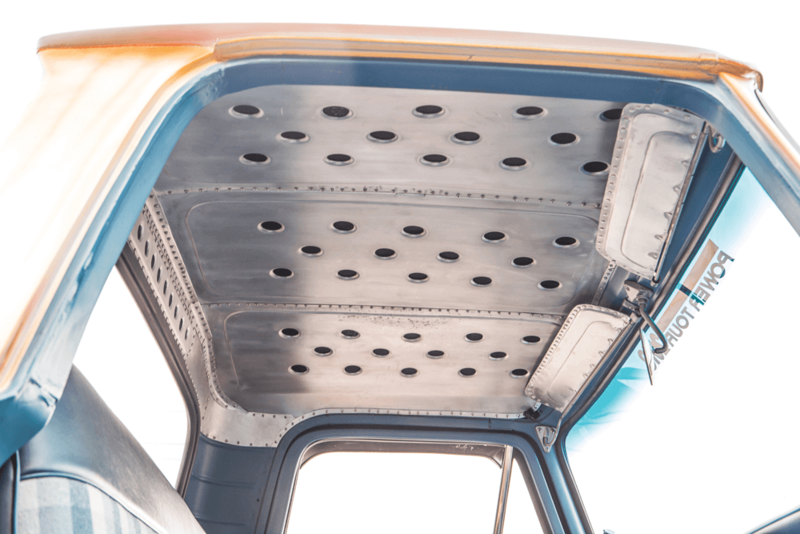 The F-100 was now really taking shape and he was trying to find a power plant for the truck. He knew that he wanted to really drive the truck both near and far. He initially was looking to put in a Coyote 5.0 but unfortunately the budget just wouldn’t allow it. 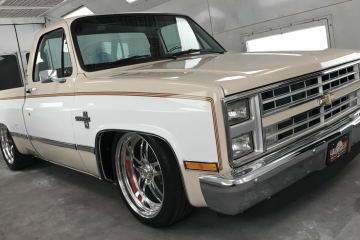 He ended up swapping in a nicely worked 351 Windsor out of an ’84 F-150 to stay budget friendly but still pack a punch. 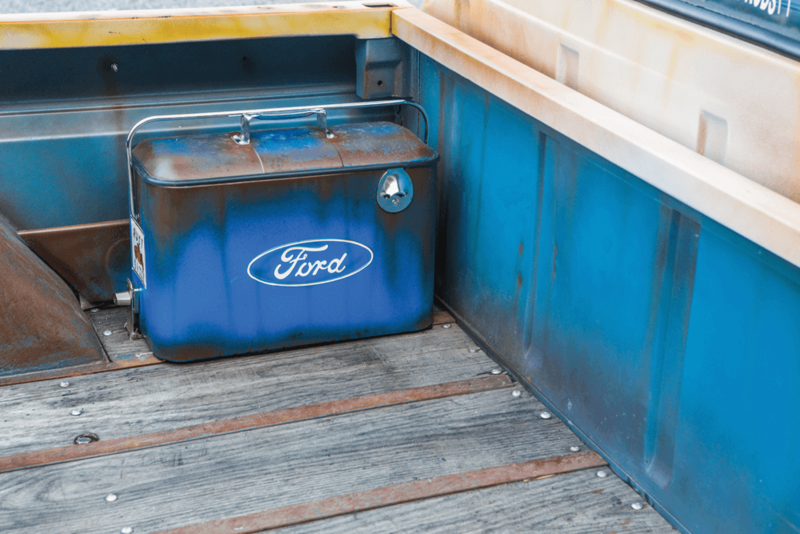 Larry admits one of the things he finds cool about the truck is maintaining Ford Motor Company parts for all of the upgrades, including the brake booster and master cylinder off a ’90s Mustang. Everything just worked out so well with little modification or headache (which you definitely don’t hear very often!). 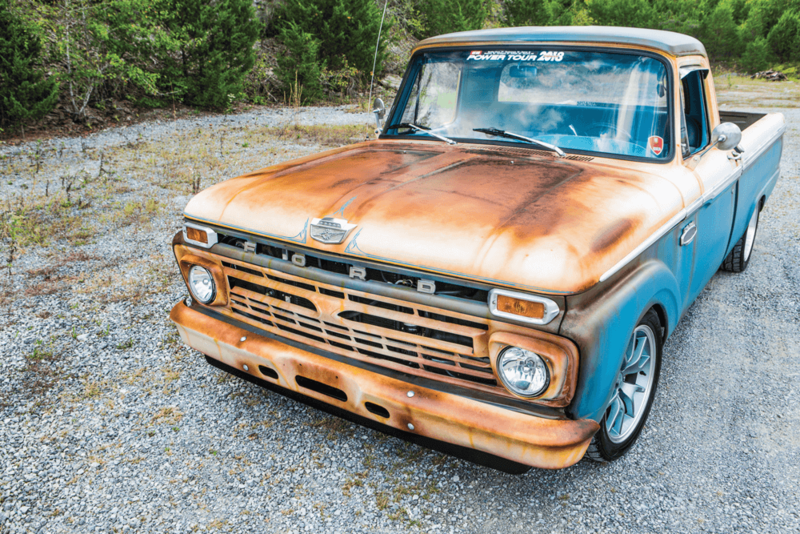 We think the best thing about this build is that Larry doesn’t baby the truck, taking it on the ultimate road trip—The Hot Rod Power Tour with his wife Venera—is definitely one of his favorite highlights as well. It’s not the miles you put on the truck but the smiles you get while putting the miles on. This truck is a driver and will remain one. With so much time and effort Larry’s masterpiece will forever be a part of his family and ours! Previous ArticlePART COUNTER | More Parts for your Project! 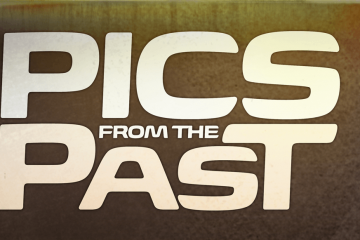 Next ArticleWhats New? 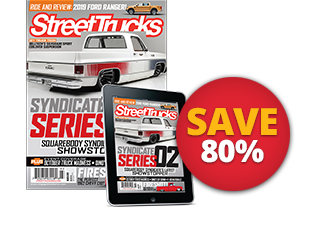 The Word on The Street Is…..